11"x14" Watercolor on watercolor paper. 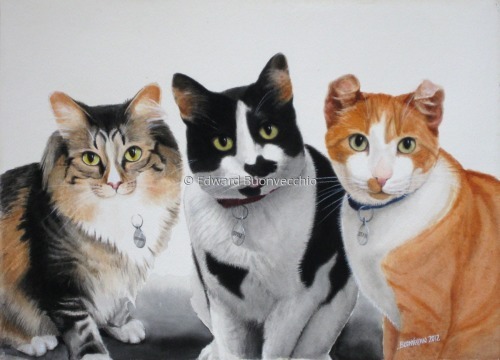 I used many reference photos to capture the personalities of these critters, much loved by their owners. 11"x14" Watercolor on watercolor paper. My clients supplied plenty of reference photos for these characters. 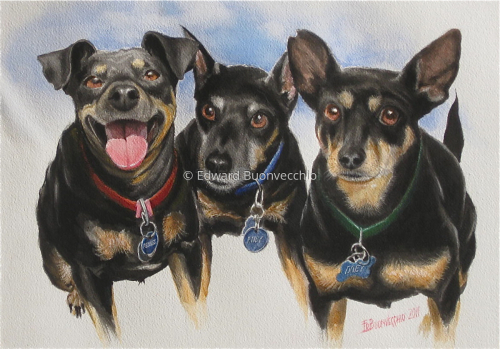 It was lots of fun rendering these colorful, furry bodies. 12x16" oil on canvas. 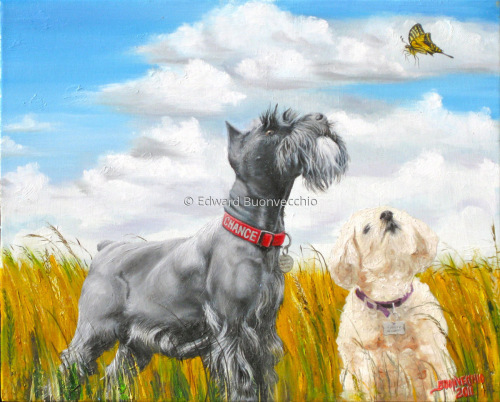 My clients wanted me to show these two best friends together, but could not get them to pose that way. So I photographed them separately. I found two shots where they looked great together but were they going to look at a bird? No! A plane? No! A butterfly? Yes! 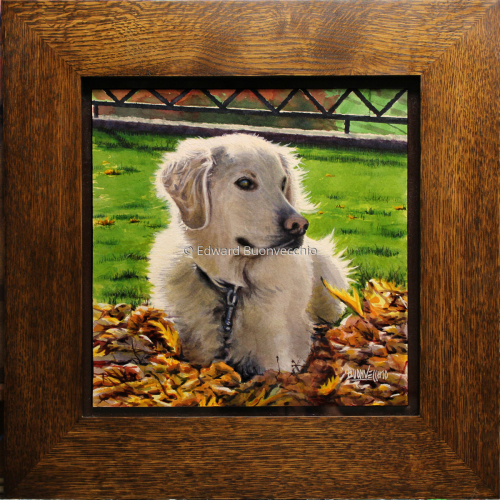 12"x12" framed in 19"x19" oak frame, watercolor on Arches watercolor paper. Meet Max! He loves life like he was still a puppy! I painted this for my brother-in-law Mark and Amy Richard as a Christmas gift from Julie and me.